No a typical person but genuine. Have 3 sides. The quiet & sweet side (I bake cookies and shite). The fun and crazy -in a good way- side..........and the side anyone would never want to see. Confession: I have 2 reasons for dating online. First is obvious: I´m dating. Second: well, I´m doing some research for publishing. I´m an empath and truly fascinated by human behaviour, personal circunstances drop me here hence let´s be productive. People with personality disorders,- narcissist are my fav- are usually well trained hunters of flesh empaths like moi...yeah I know! they always have the upper hand during the first month(s) of online dating. Here you are some tips to do not give them as much time: They will ask you questions to learn everything about you, listen to you so carefully so that they can mirror you and tell you exactly what you need to hear. They are also well equipped from their past victims and after each discard they know one more new trick to hypnotize the new “soul mate”. They know from loads of experience about what they should not say during their love bombing phase...but no matter how much they learnt they always follow same path: I´ll protect you. I´m the most honest person you´ll ever meet. Dating online is exhausting. This is too good to be true. If you tell them you are A+B expect a turn back of his A+B+C+D and ha! try to overcome my resume woman =). Their fabricated personality usually describes a man who is an open minded, easy going, vulnerable and courageous enough to tear up, a man who will always there for you, spiritual, humble, romantic, well travelled kind man who knows about world cuisine and who has great relationships with people, who is such a charmer that cares about others. He doesn´t need a job but he has one to consume time and energy, of course! Leonard Cohen & Paulo Coelho are their best allies. Come as you are, we´ll see. AliceAck is a Female dating in Waterford, Ireland. 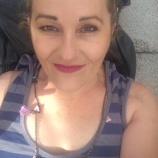 Check the description of this 52 years old profile, she is White/Caucasian and Agnostic maybe this matches your profile description and you can both start dating in Ireland for free.